modifyCursor(scope,tag) modifies the properties of the Logic Analyzer cursor specified by the input tag. modifyCursor(scope,tag,Name,Value) sets properties using one or more name-value pairs. Enclose each property name in single quotes. The Logic Analyzer object for which you want to modify a cursor specified, as a handle to the dsp.LogicAnalyzer object. The tag identifying which cursor to modify specified. Example: modifyCursor(scope,'C4') modifies a cursor in Logic Analyzer. 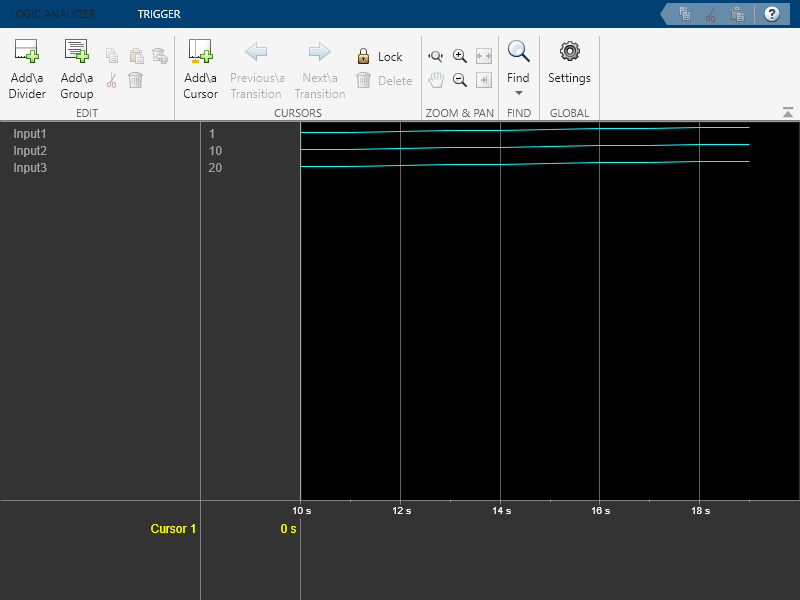 Example: modifyCursor(scope,"C4") modifies a cursor in Logic Analyzer.